This time last year I was on a plane somewhere between Ethiopia and Nashville. Our journey to Zoe was coming to a close. We were getting ready to be HOME. All three of us, together, a family at last. I remember the days leading up to us being home my mind was racing. Could i do this? Could i be a mother? Could i be a mother to a toddler? Could i be a mother to a child that so vividly remembered her birth mother? Would she ever see me as her MOM. Would i be enough? Ready or not, we were home!! Arriving at the airport was a night that i will never forget. We were surrounded by family and friends (who are just like family) who cheered as we walked down the terminal. It was our first...First. Our first day in America as a family. Although it was overwhelming, Zoe was all smiles. She Was so excited to finally meet her FAMILY! This was just one of many First for my Zoe Girl. So all the books tell you to keep your newly adopted child at home the first few weeks and not go out. Well, since we had already not gone "by the book" so far, we decided to venture out to the Zoo on Zoe's first week home. She loved riding the carousel on that day and continues to love it today. In July of 2001, we took Zoe on her first beach trip. Again not "by the book" Instead of a short trip to test out being away from home we went to the beach for 2 entire weeks. As always, our Zoe did great. Zoe truly loved the beach. She loved the sand, the ocean, the pool...everything. We experienced another first on that trip. We were at the beach on Zoe's fourth Birthday (her first in America). Of course, in Jones fashion, we did not let the fact that we were in a condo in Perdido stop us from decorating and celebrating. We spent the day doing things that Zoe loves. She spent the day with her cousins (WHOM SHE LOVES) we went swimming, we ate pizza, we went to a super fun restaurant where she got to get a glitter tattoo, and then ended the day at build a bear where Birdie was "born". (Birdie is one of the family in this house. Birdie does not miss out on much. After returning from the beach we celebrated Zoe's Birthday with her very first Birthday Party Ever!! Zoe choose to have a Mary Poppins Party. From decorating kites to making piggy banks to hold their tupons, to chalk drawings and "racing" carousel horses, to eating spoons full of sugar, the day was definitely a "jolly Holiday" that was "Practically Perfect in Every Way." In September, Zoe had her First Day of School. We started the morning celebrating "Whooooo's going to Preschool". We had a "crazy" breakfast of Zoe's favorite cookies. We then followed the White Family tradition of a First day of School pic in front of the door on the front porch. Finally we were off. It was the first and only day that we were early to school :). We waited anxiously in the hall until this guy arrived. Will is Zoe's best guy. They are the best of friends. and i am so happy that they got to spend her first year of school together in the same class. 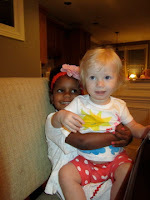 I cannot stress how much she loves ALL HER COUSINS, but she and Will definitely have a special bond. During the testing phase of this little journey we found out that 100% of Zoe's stomach was above her diaphragm. The crazy thing was she had NO SYMPTOMS. All of the doctors were amazed. We later found out that most kids who have this have it at birth, and most don't live more than a few days. How our little girl, in a third world country, with no medical treatment had lived 4 years like this is nothing but a miracle. We met with a young doctor. Our first meeting with Doctor Tom was one that i will never forget. He showed us pictures of Zoe's stomach. He explained to us the severity of her condition and the importance of doing sutrgery as soon as possible. He then looked straight into our tear filled eyes and through his own tears said that he had a daughter the same age as Zoe and he totally understood how afraid we were but that he promised he would take very good care of her. I knew in that moment that we had been directed to the PERFECT doctor for us. So on October 27, we checked in to Vanderbilt Childrens Hospital for what would be one of the longest days of my life. Zoe was in surgery for over 7 hours. It was the longest wait of my life. My little tiny girl was on a table in the care and hands of a man we barely knew. After the longest wait, Doctor Tom came out. Everything had gone beautifully, He was able to do the entire surgery laproscopically (which we were not sure was going to be possible). Zoe had done great and was ready for us to see her. Dr. Tom then followed us to the waiting room to meet and hug every member of our family! We were told to expect to stay in the hospital for a minimum of 5 days. Unfortunately that meant that Zoe would miss Halloween. We tried to make the best of it, as did the hospital. They had face painting and then a private concert for the kids and familiys with Rascal Flatts. Although Zoe fell asleep during the first song, it was a brief relief for Derek and I. For the first time, we didn't feel like we were in a hospital. We sat and listened as the group sang "God blessed the broken road that led me straight to you". I thought about our journey to Zoe. How nothing had gone as planned and yet it was the exact road that the Lord had planned for us. After the concert, we went back to the room to settle in and start making Halloween plans since we would not be able to go home. Well, Zoe had different plans. 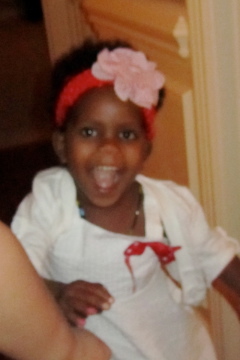 She did not stay 5 nights in the hospital, she stayed only 2. Dr. Tom literally could not find a reason to keep her any longer. She never had one drop of pain meds outside of Tylenol and Advil. She never had any of the symptoms that she should of had after a surgery of that magnitude. She was perfect. She was happy, and she was ready to go home. Well we made it home for Halloween. We were told to "take it easy" so we loaded up our Princess Tiana in a little red wagon and with our favorite flower, lightening mcqueen and ariel, we set out to trick or treat. Well, the wagon didn't last long. Before we knew it Zoe was running the streets. So much for taking it easy. She collected TONS of candy and really did great even when she realized that due to her food restrictions she would not get to eat hardly any of it. After waiting and waiting the day finally came for Lucie White Roden to enter the world. Zoe was over the moon excited. 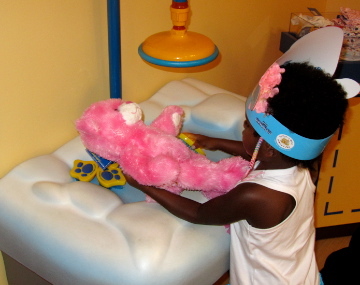 She had been planning for months all the ways that she was going to take care of baby Lucie. She had let Carrie know what she was going to be allowed to do and that Zoe would do all the rest. She also spent lots of time giving Carrie mothering tips (as if she needed them). Finally the day was here when she would get to see Lucie and hold her for the first time. Zoe was so excited i thought she was going to come out of her skin. She could not believe that Lucie had finally come out. She was ready to begin her newest mothering gig. She instantly feel in love with Lucie. Even today when she is running wild with Sophie, Will and Lillie, she will out of no where stop and very gently come over and give Lucie some special gentle love. She lights up when she sees Lucie. I believe that she takes true pride in the fact that Lucie is healthy and happy. Zoe had a truly blessed first Thanksgiving. We had much to be thankful for. She had spent her first 6 months at home. She had survived and thrived since her surgery and probably the thing she was most thankful for--- SOLID FOOD. Thanksgiving day was Zoe's first day off food restriction since her surgery. She had been a champ about the liquid and soft food diet, but my little meat eater was thrilled to bite into some turkey. Thanksgiving was full of fun. All the kids performed a play about the first Thanksgiving and Zoe ate herself silly. We all shared what we were thankful for and spent the weekend just being one very big happy family!! There is neither time nor space on this blog to fully describe Zoe's first Christmas. It was AMAZING!! I will have to come back and blog on it later so that i can do it justice. For Lillie's Second Birthday we ALL went to the Circus. Zoe sat in utter amazement. She danced clapped and later mimicked everything she saw. As i watched the tight rope walkers, i felt like my future life was flashing before me. My little dare devil took in every step they took. I just new the day was coming when i would see her shimmy across something... and sure enough she has. The Circus was a great night for all of us. Lille had more fun than any kid i have ever seen. It was a great night of Firsts for many of the kids. This year has been full of a lot of FIRSTS. And now, the day is finally here. 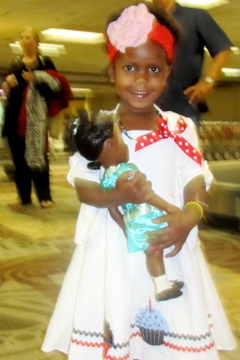 April 30, 2012- Zoe's First Anniversary of being in America, of being home. My what a difference a year makes. Zoe is doing amazing. She is adjusted to our family, she is adjusted to our home, she is adjusted to our community, she is adjusted. This year has been full of celebrations. We have not missed one opportunity to celebrate and today, again we will celebrate. As i look back at this past year, i realized what a crazy year it has been. There have been wonderful days, and some very hard days. We have all 3 laughed a lot, smiled a lot, played alot and cried a lot. There have been days when i have asked myself those same questions i asked myself on our first day home- "Can i do this? Will i ever be enough?" I can say that the Lord is faithful in all things and that Today i can honestly answer all of those original questions with a big YES. I know that our life is not going to always be easy. Zoe still has a lot to learn, as do I. She and i are going to clash. We are SO So much alike. I could not have a child more like me if i birthed her myself. We do everything to the extreme. We Laugh hard, we play hard, we fight hard and we love hard. Zoe describes our family as 2 feisty girls and 1 slow daddy. We are both glad to have a 1 slow daddy because he is able to keep us grounded. My sweet Zoe. This is been the best year of my life. I never knew what it would actually be like to be a mom. I surely did not realize it would be as hard as it is sometimes. But i also did not know how wonderful it would be. You have brought more joy to my life than i could ever imagine. You smile can light up a room and your laugh is contagious. You have such funny habits and phrases that you like to say. Every day is an adventure to you and you are FEARLESS. (which sometimes scares me :) You have the confidence that most people dream of having. I pray that is something you never lose. You a very curious and your questions are never ending. Even though you claim to not like learning, your constant questions let me know that you are constantly learning more and more each day. I can t believe how much you have done and learned this year. More than that, i cant believe how much you have taught me. You have stretched me in many ways. You have opened my eyes to things i had never really seen before. You love life. You go through each day full speed- and my girl you are FAST. You literally RUN through many days. You LOVE BIG. Your love for your cousins is one of my favorite things to see. You have such a unique and personal relationship with each and every one of them. So while you still think that aunt Carrie knows the most of anyone you know and even though you want to please her so, and even though you still at times ask to be a Roden, i know that you are right where you need to be. You are a Jones- You are Zoe Renae- A life Reborn. You are my daughter, and i wouldn't trade one second of this past year with you. I LOVE YOU AS BIG AS THE SKY. Thank you for a WONDERFUL FIRST YEAR OF FIRST! We have an awesome life. I love to wake up and see what each day holds for me and my girls. Zoe is a truly amazing kid. She is kind, she shares, she forgives, she can turn a bad attitude into a good attitude, she is very smart and I could fill a book with all the wonderful things about her! Zoe has transitioned beautifully into our family over these last 9 months. We take lots of happy pictures and do so many fun things. But, honestly, our life is not all sunshine and gummy bears. January has probably been the hardest month we've had since we brought Zoe home. 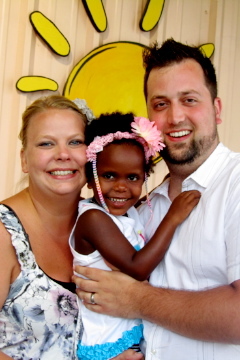 I think back to a year ago after we had just met Zoe in Ethiopia and had to leave her. It was the most difficult time in our lives. We had such joy getting to know her then such sadness to leave her. This was followed by the roller coaster of emotions as we worked with the Ethiopian court system and government agencies to finalize the adoption process. Now she is home. We get to hold her and love her and laugh with her everyday. This month we have also spent time crying with her. As we've started this new year, Tori and I have been extremely busy at work and my usual patience has been at an all time low. Zoe and I have had some difficult times and I have had days where I've felt like an utter failure as a father and husband because I literally don't know what to do. I am supposed to be an "expert" on kids and I am at a total loss. 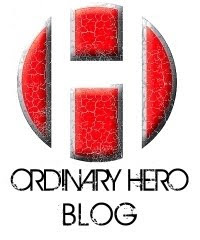 We weren't sure what was going on, but beginning right after Christmas Zoe began grieving her birthmother, Mehret. I have watched Tori hold Zoe in her arms as she weeps over the loss of her birthmother and the fact that she is beginning to forget her. More recently, her behavior has started to change, her sleeping patterns haven't been normal and even her eating habits have changed. Tonight was, by far, the most difficult night of parenting we've had with our precious Zoe. Today started off rough for the girls. I went to church early and they had their typical Sunday morning at home, watching cartoons and getting ready to come meet me. Everything was going just fine, then Tori chose Zoe's favorite red boots to wear to church. It seems that Zoe decided she did not want to wear them and the meltdown began. By the time they got to church things were better and everyone complimented her awesome boots. Throughout the day she struggled with having a good attitude, but was able to turn it around. Then bedtime came and she fell apart. I was putting Zoe down and she began flailing and screaming so loud that Tori came in to see what was going on. She was kicking, and screaming, and hitting, and spitting, and screaming, and flailing, and biting, and screaming, and yelling and screaming and crying. It took both of us to physically hold her down. Both of us were so angry and couldn't figure out what was going on. Tori finally got the sense to talk it out of her. We realized that the problems of today were more than just red boots and bedtime. Zoe began to ask why Mehret gave her away through the saddest sobbing I've ever experienced. Mehret has always been freely discussed in our home. We have always said that she gave us the best gift and talked about how we truly love her. Over the past month Zoe has talked about her in a much different way. She has said some of the most hurtful things to us in the process of grieving her loss and dealing with feelings of abandonment. Tonight we watched our 4 year old daughter scream and weep over being abandoned by her birthmother. She decided she never wanted to talk about her, love her or pray for her ever again. We told her that we would always do these things and then Tori prayed for Mehret right then and there. Zoe asked us, "What is Mehret to me?" We told her that she was the one who gave her life and cared for her until we could come and get her. She now knows that we love her no matter what she says to us, that we will never leave her and God made her for us before she was ever born. It is truly amazing to me that Zoe can even have these feelings. She is angry, she is sad, she is confused and she is heartbroken. As she worked through these feelings tonight we felt them right along with her. Adoption is amazing, but it is also very difficult. Not many preschoolers around here have much to mourn or grieve. She has been through so much in her little life. We so often shortchange children and what they feel and understand. There is so much more than they can express living inside their tiny bodies. After things calmed down we were able to talk about this passion she has inside her and how she is a "feisty girl" just like her mommy, which she loved. She wanted to know more about being feisty. She was so excited to share this trait with Tori. We talked about how they are like a zig zag line going up and down and up and down and I was more of a calm straight line. She looked at me and asked, "Daddy, why are you slow?" Which is a question Tori asks fairly consistently of me. Tori began to talk about how the two of them are so alike. We talked about how they will live big, fight big, but most importantly they will love big. Tori talked about how she got in trouble A LOT by her mommy, just like Zoe will and how I didn't get in trouble very much while I was growing up. Then Zoe looked up at Tori and said, "I think Daddy is gooder than we are." We all laughed and then I was able to say to the both of them that of all the girls in the entire world I could choose, I chose a feisty one to be my wife. Now I live in a house with 2 feisty girls and couldn't imagine it otherwise. Our family needs Tori to understand Zoe and me to make sure they are both alive at the end of each day. So, today was a day we will never forget. 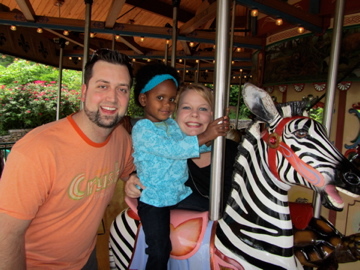 We saw our daughter suffer, we heard harsh and hurtful words and our family grew stronger. So, we pray that we will continue to know how to love and parent her well. We pray that we can help her remember Mehret when she forgets and we can honor her when she feels betrayed. I pray that she remains feisty and our great God uses that passion to change the world and glorify him in mighty ways. Today has been so very difficult, but we have learned that 2 feisty girls + 1 slow daddy = The Jones Family and we wouldn't have it any other way. I am ashamed to say that this year is my 30th MLK Day and the first time it has meant anything to me. I’ve always thought of this day as a holiday for African Americans. Now I have an Ethiopian daughter and I’m forced to think outside myself. As I tried to tell Zoe a little about this day I said that it is important for people with brown skin and then Tori stopped me and I realized, for once in my life, that this day is important to everyone. Dr. King challenged our world and we should all be so very grateful for his courage and leadership, no matter our skin tone. As I thought about this day I began to realize that no one is truly free unless everyone is truly free. If my neighbor has no freedom, then mine can be taken away at anytime. I am so thankful today that we can celebrate a man who reminded our country that God created and loves us all, so we must live together in peace. I am so thankful that my daughter will have every opportunity in the world available to her. It pains me to think that my brilliant, beautiful, vibrant daughter might not have been part of my family if it wasn’t for the courageous work of people like Dr. King. I cannot imagine my life without her and I cannot imagine her growing up in a world where she could not have the hope of doing anything and everything her heart desires. 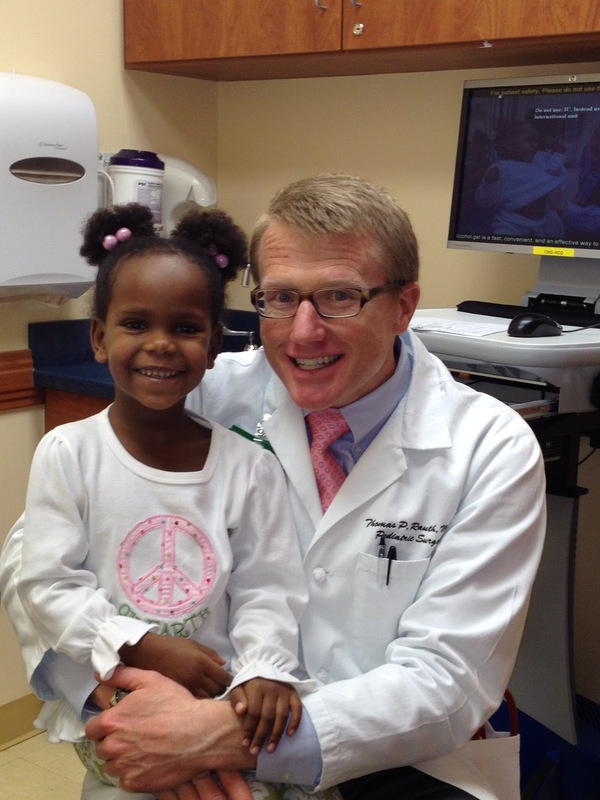 Because of Dr. King’s dream, I can tell my sweet Zoe that she can follow her dreams anywhere they take her! Today I thank Dr. Martin Luther King, Jr. for inspiring change. I pray that my family and I will have courage to stand strong, like him, in the face of injustice. Today I recognize that Dr. King took a stand for each of us, no matter our race, gender or tax bracket. Today is a challenge to me, and everyone like me, to celebrate the differences in each of us. Today I praise our great God for uniquely creating and loving us all beyond our wildest imagination! This month, Tori and I celebrate 30 years of life. It's very cool that we were born just 11 days apart so we get to celebrate our lives together each year. There is something about 30 that makes you look back, look forward and look in the mirror. As we look around we find nothing but blessings in every direction. We sometimes wonder how and why we are so very blessed! It is absolutely ridiculous. This year, more than any, we celebrate LIFE! Life is a word that we have spoken over and over and over again this past year for many reasons. First, we celebrated bringing home our unbelievable Zoe Renae, "a life reborn." Everyday with her we are amazed at how God blessed us with a life so incredible. I tell everyone that there is no way Tori could birth a baby more like her. They are two of a kind and I couldn't be happier about it. 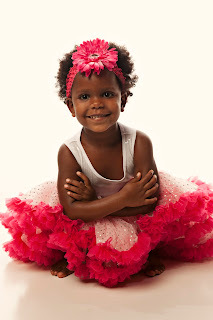 In July we were able to celebrate Zoe's life when she turned 4. It is awesome that when we look at her we only see our daughter, nothing else, just our daughter who we dearly love. Also this year we celebrated the life of Tori's dad and a year without cancer. His life has also been reborn as he faced death head on and God gave him more time here with us. He's been given the chance to impact so many lives through this battle and has hope to offer others pleading for life. His life has and will continue to impact the world for Christ. We pray that Zoe will be one of those lives. Then we found out, through some routine tests, that Zoe needed major surgery. Again we prayed for life. The surgery was amazingly successful and again we thank God everyday for her life. Zoe's surgeon, Dr. Tom, is her first real-life crush and one of our all-time favorite people. Now we are turning 30. We celebrate our three decades of life and the few we've had together. Tori and I are perfectly matched and I am blessed to be married to my best friend. We are just enough alike to enjoy our lives together and different enough to complement one another perfectly. We are blessed to be in ministry together and happy that our lives intersected 4 1/2 years ago. Just 6 months after we met, we celebrated our lives by getting tattoos. We were just friends, but we both got very meaningful artwork inked on ourselves. Some people think it's crazy, to us it's a special memory. This year to celebrate LIFE we decided to tattoo again, to forever remind us of the LIFE we have to celebrate this year and always. We look back on wonderful life, we look forward to wonderful life and when we look in the mirror, we see amazingly blessed life. It is amazing to look back at the first pictures we ever saw of that "sad little girl" and see how she has blossomed into the vibrant Zoe we know today! This video shows the progression from the first picture we saw of her until we met her. A few pictures of us and her birth mother capture the amazing time we had getting to know her, as well. We can't wait to bring our Zoe home! Zoe Then and Now from Derek Jones on Vimeo. Thank you all for the many prayers you have prayed on our behalf these last few days! Tori and I have been overwhelmed by the prayers from all over the country for our sweet Zoe. Today was the big day in court and once again, we did not pass. The miracle, however, is that the judge made a court order to MOWA to work night and day to write all the backlogged letters by Monday and she will sign them as they come in. So we should know something early next week. We are at peace and filled with hope for our situation. As we look back through our journey we see God's hand all along. Then we thought, how small minded are we to pray for a miracle just for us? And how great is our God to provide a miracle for so many? It is amazing to see God work in such a way that changed the entire court system in Ethiopia. So many families who have been waiting on that one letter will now be able to bring their children home sooner than expected. We're looking forward to great news next week. The journey is not over, please keep keep praying with us! WE STILL KNOW THAT NOTHING IS IMPOSSIBLE WITH GOD!